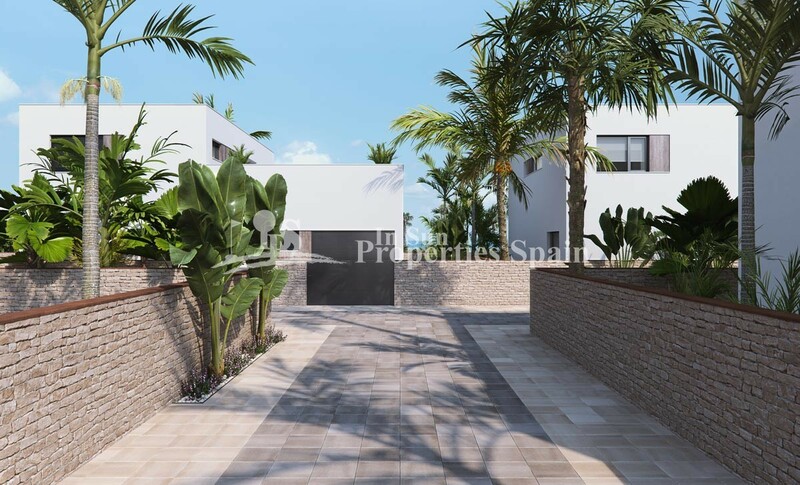 In this promotion, located at “Las Higuericas” beach in Torre de la Horadada, the Swiss architect Massimo Di Caudo is looking for a division between the buildings in the longitudinal direction and between them a common access area to the garages of four of the houses. 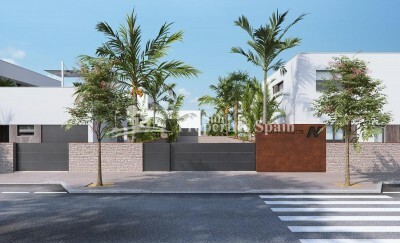 Each villa has an independent access from the surrounding streets, as there is no adjacent building. 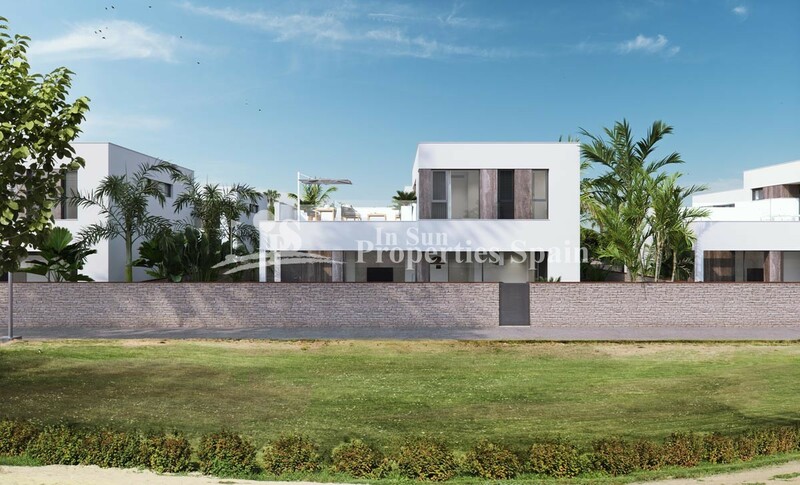 Most villas feature a plot of 319 m2 and build of minimum 201,21m2, with possibility of various plots with larger size up to 600m2. 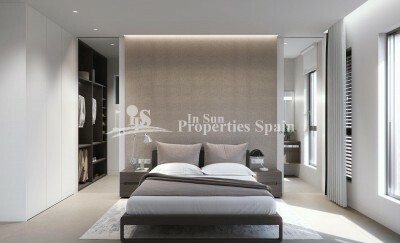 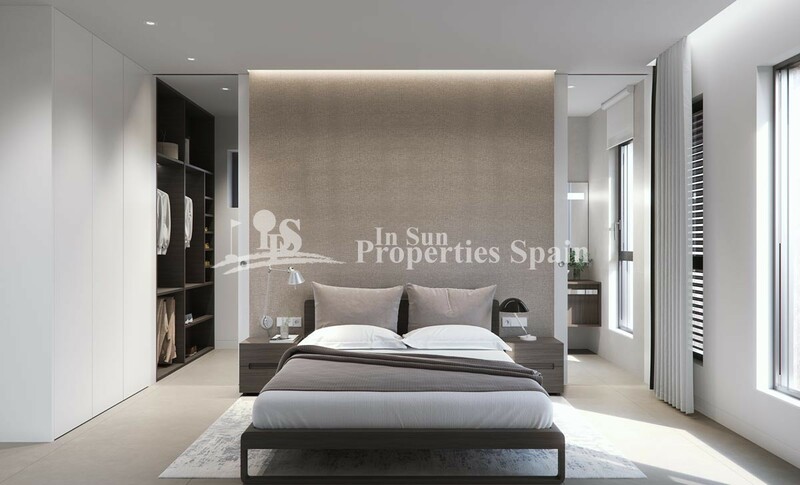 3 bedrooms, with possibility of 2, 4 or 5, of which, two with completed bathroom and dressing room. 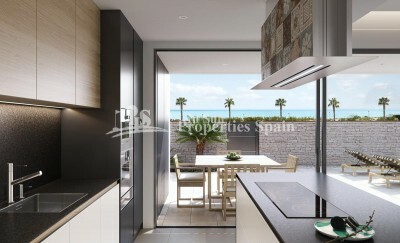 Fully furnished kitchen with high quality materials to choose by owner, including the appliances. 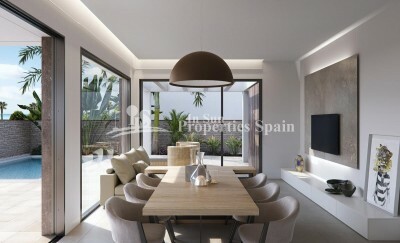 Following an open concept, the dining room is surrounded with large windows, source of pleasant day light, with direct access to the swimming pool and finished gardens with illumination, irrigation and local vegetation. A microclimate is archived in all villas, extensible to each living space, thanks to its design and interior distribution, together with the thermal and acoustic insulation, obtaining a harmonic and comfortable ambient. All this leads the villa to be sustainable and respectful with the environment. 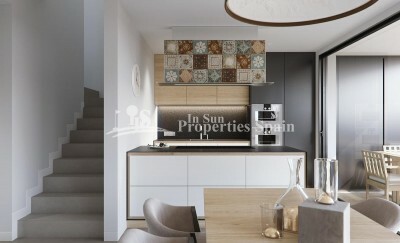 Included air conditioner (hot/cold) by conducts in all areas combined with selected finishes, using premium quality materials, customized luxury design with maximum comfort, achieving to enjoy the villa as in warm summers and soft winters, being possible to live in the whole year around. 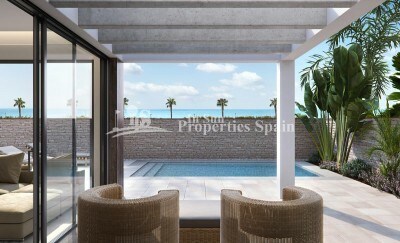 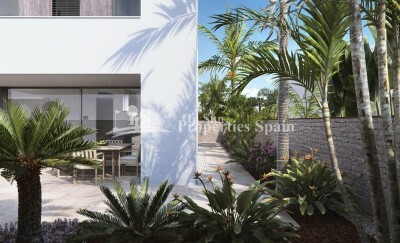 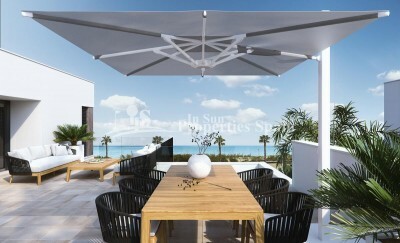 Besides large covered garage with independent entrance or common access to some villas, laundry and storage. 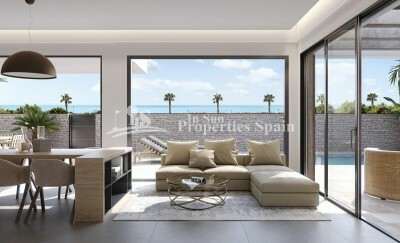 “Las Higuericas” residential is located 100m from “Las Higuericas” beach in Torre de la Horadada, paradise in all aspects, where is possible to enjoy the coast line, the immensity of Mediterranean sea, the promenade, refreshing sea baths, nautical sports like sailing, surfing, snorkelling and just 8km away from Lo Romero Golf, one of 21 golf courses in Costa Blanca. 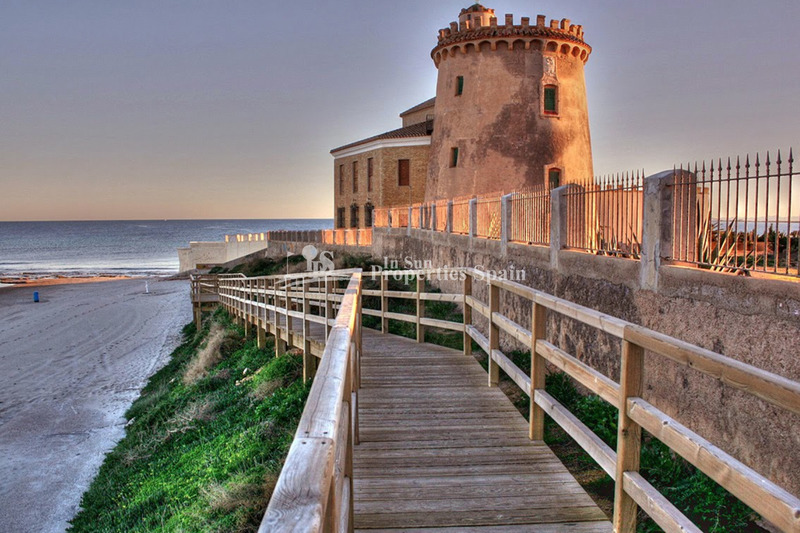 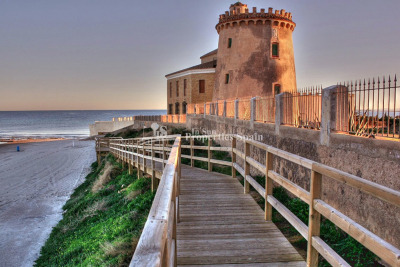 5 minutes away from Torre de la Horadada nautical club and 10 minutes from San Pedro del Pinatar ports, best restaurants where is possible to taste local Mediterranean gastronomy. 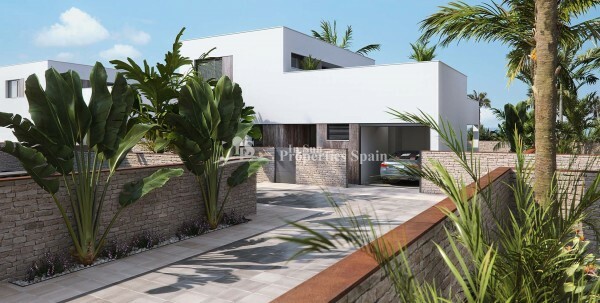 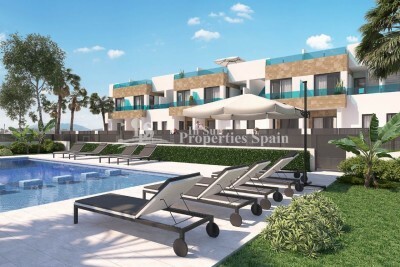 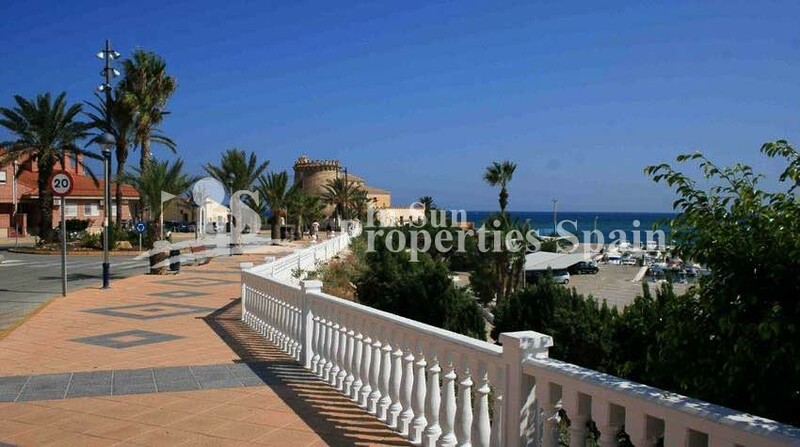 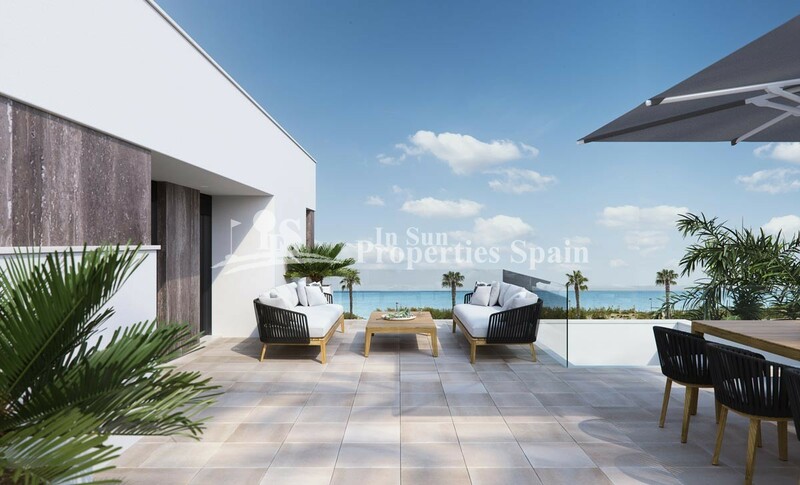 Excellent infrastructure remarking the proximity with AP7 highway which connects the residential with two international airports: 15km away from San Javier and 75km away from El Altet, Alicante. The closest village to the development is Pilar de la Horadada, in 1km reach, a quiet place with all type of services: schools, health centres, police, pharmacies, etc. Leisure areas nearby like commercial centres: “Centro Comercial Dos Mares” in San Javier, 5 minutes by car, and “La Zenia Boulevard” in Orihuela Costa, 15 minutes by car.